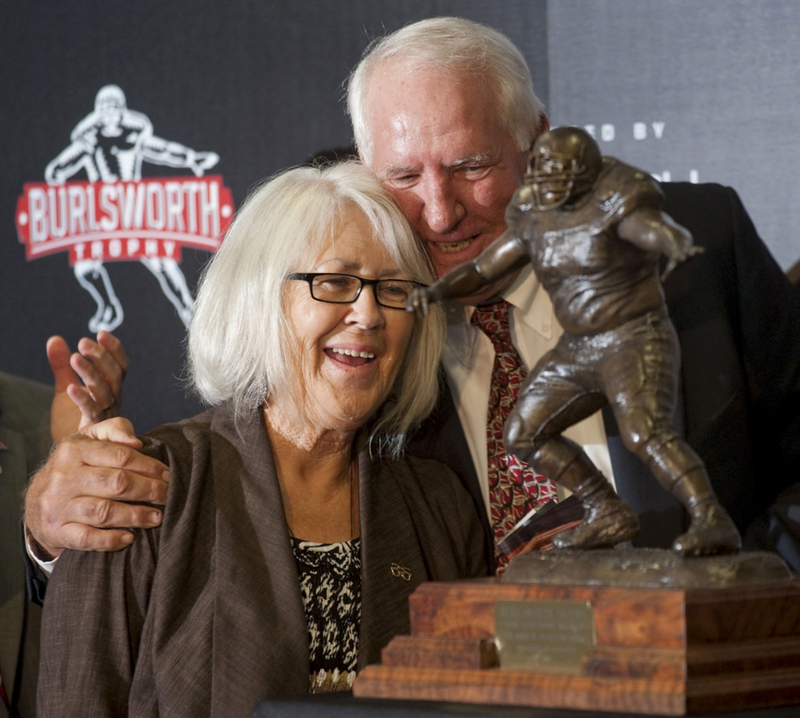 Barbara Burlsworth receives a hug from former Arkansas head coach Danny Ford on Monday, August 23, 2010, in Fayetteville, Ark., following the unveiling of the Burlsworth Trophy in honor of her late son, Brandon Burlsworth. Brandon was an offensive lineman for the Razorbacks from 1996-1998, and was selected in the third round of the 99 NFL draft by the Colts. Tragically, he was killed in a car accident 11 days after being drafted. I was in college at the U of A when Brandon played, and I remember hearing about his death. Though I never knew him, I now know of him through the efforts of his friends and family. The Brandon Burlsworth Foundation was established in his honor, and it’s always fun to see the group with thick black glasses standing on the sidelines before every game, and think of him. Arkansas Gov. Mike Beebe was endorsed by 73 of the state’s 75 sheriff’s in his bid for second term as Arkansas’ Governor. The press conference to announce the endorsement was outside of the Sebastian County Courthouse in Fort Smith. I always like it when I can get a nice shot out of a press conference!